Sue is a born animal lover. By the age of twelve she was already an accomplished equestrian rider. She earned her B.A. from the university of Toronto in animal behaviour. Sue went on to found Canine Academy in 2001 and it has grown every year since. She prides herself in her unique ability to communicate with both owners and their dogs helping to develop strong relationships. Her expertise is now in high demand. 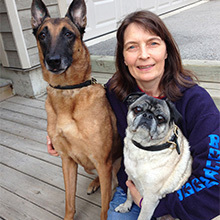 Sue lectures regularly at Sheridan College and is a mentor/ trainer for the Animal Behaviour College of America. A born teacher, Sue now offers a Certified Trainer Program for those who share her passion to work with dogs. She lives with her daughter Maddy and shares her farm with 4 dogs, 1 cat, 2 pigs, 5 horses and one very special donkey. 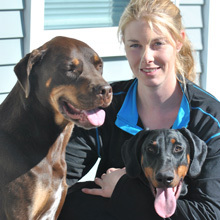 Carla has been a trainer at Canine Academy since 2004. She is passionate about helping owners tap into their relationship with their canine family member using positive training methods. 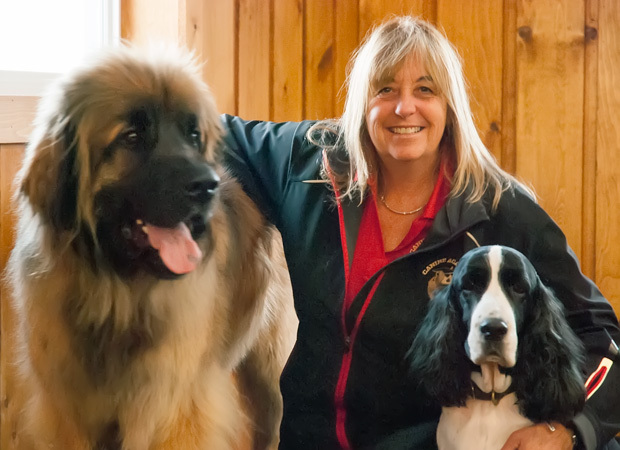 Carla has been involved in dog sports and dog training for over 20 years. She has titled dogs in Formal Obedience, Rally Obedience, Agility and Confirmation. She is owned by 2 Belgian Shepherds and a Pug. Kajsa graduated the student trainer program in 2014 and has now returned to Canine Academy as a permanent trainer. She finds it especially motivating to help dogs and their owners enjoy each others company to the fullest, both in sport and everyday life. Kajsa shares her family with Moloss cross Chewy and Dobermann Clutch, whom spend their time with hiking, scent detection and IPO. Mark completed a Masters in animal communication and decision-making at UQAM in 2003. 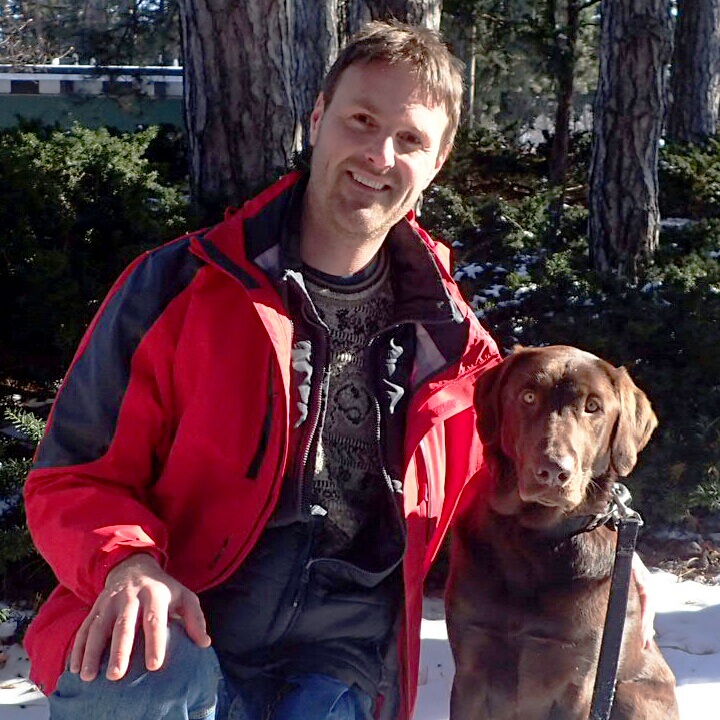 Mark is a recognized science communicator who completed Canine Academy's Professional Trainer program in 2014. He has trained and rehabilitated hundreds of dogs since – including pro-bono work for several rescues and trained more than 20 Certified Service Dogs for families affected by Autism and Post-Traumatic Stress. Mark and his chocolate lab cross Petey work Behavioural Rehabilitation, Service skills, Search and Rescue, Obedience and Agility. Shirley joined Canine Academy in 2003. Shirley is a lifetime dog lover and people person. 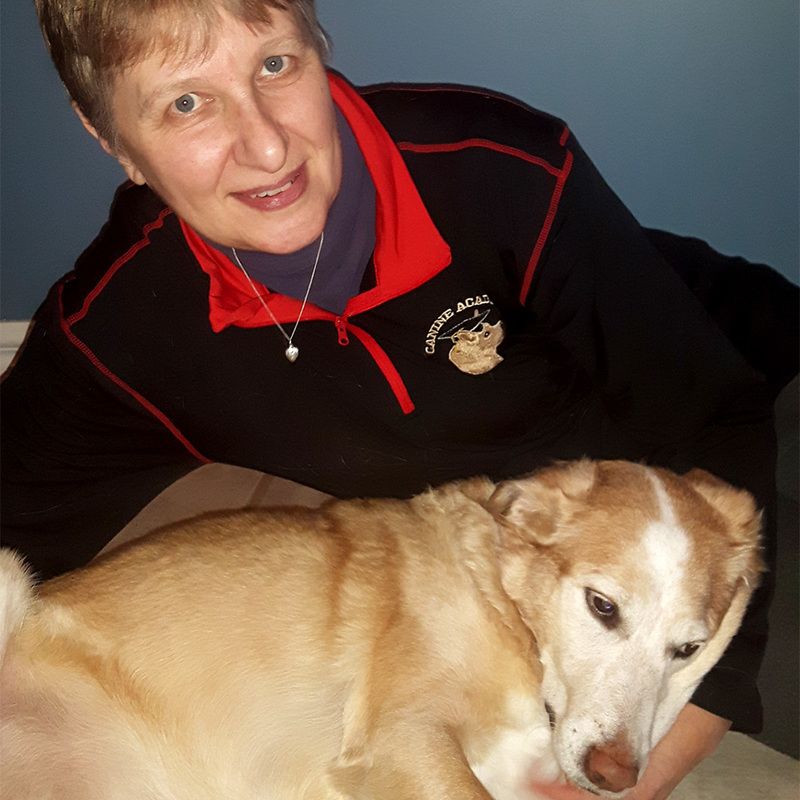 A born teacher, Shirley enjoys assisting people in building a strong connection with their dogs through positive training techniques. Shirley has a unique ability in helping people gain insight into their dogs way of thinking to create a wonderful loving lifetime bond. 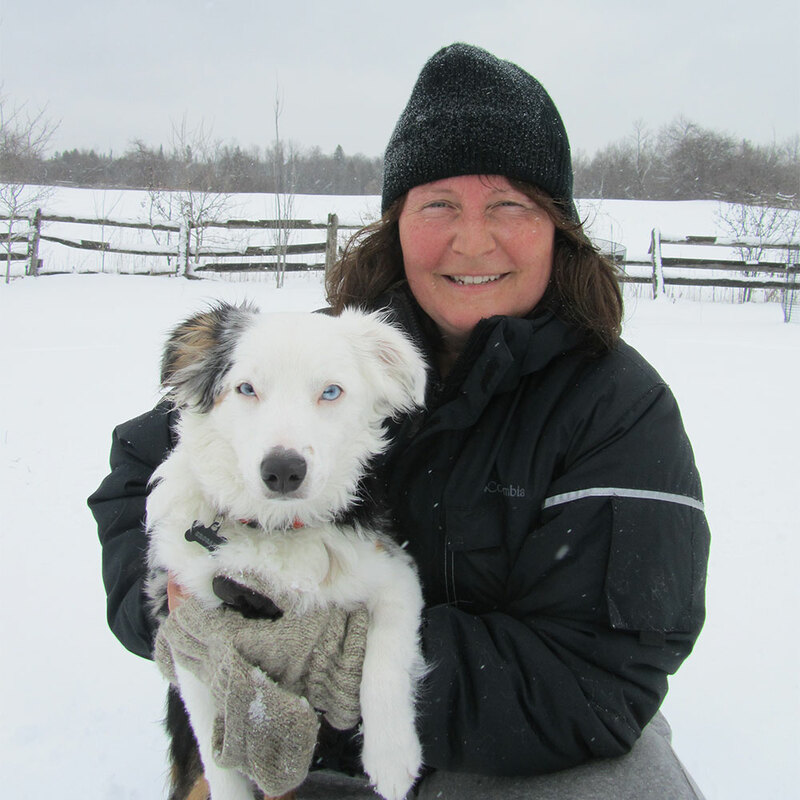 Shirley is passionate about rescue and is a foster mom and behaviour advisor for Grand River All Breed Rescue. Shirley is currently owned by three dogs plus a foster dog and three cats plus a foster cat. Tracey is a 2017 graduate of Canine Academy's Professional Dog Trainer Program and very excited to be training at Canine Academy. Tracey is truly fascinated and humbled by the therapeutic benefits that animals bring us, and strives to encourage fulfilling relationships between people and their pets through positive training techniques, as well as Reiki and meditation. Tracey shares her life with a Mountain Cur rescue, Bluetick Coonhound mix rescue, Toy Australian Shepherd and two rescue cats. Are you ready to work with our staff to train your dog?